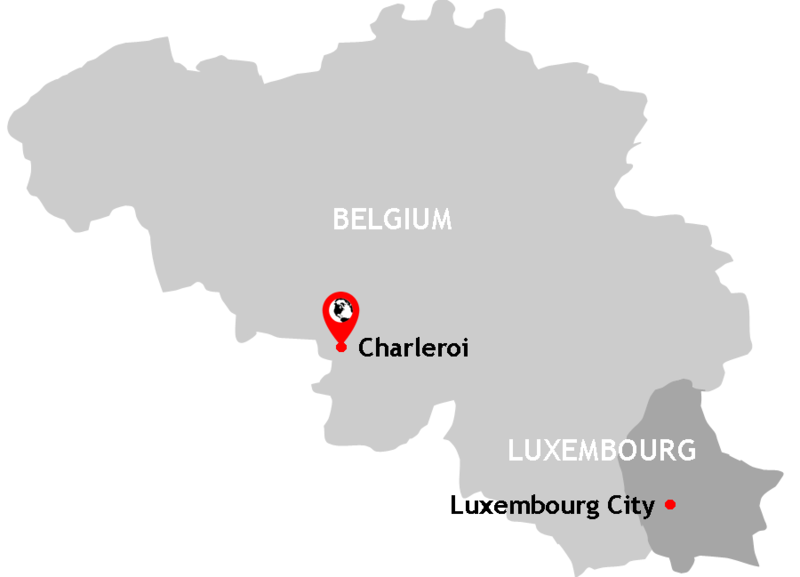 Where: Charleroi & Luxembourg City. Belgium & Luxembourg. 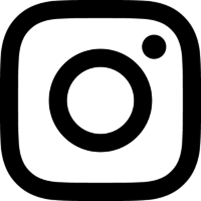 What: Palace of the Grand Dukes, Three Towers, The Corniche, Grund, Neumunster Abbey, Wilhelmplatz Flower Market, Adolphe Bridge, Centre Gare, Patisseries, Place de Armes. Illnesses or mishaps: Realising that most things close in Luxembourg City on a Sunday. It's no fun traversing an unknown city for the first time when everything is closed. This was a trip to Luxembourg's capital Luxembourg City for an Autumnal city break flying to Charleroi in southern Belgium and then travelling on to Luxembourg. Luxembourg is one of the smallest states in Europe, nestled in amongst Belgium, Germany and France. I have been to Belgium before, and so the major focus was to be what Luxembourg had to offer, with Belgium, perhaps sadly, relegated to little more than a transit point. Regular readers of this site know that I love city breaks at this time of year - it's close to Christmas, orange leaves are on the trees, and there's that inescapable nip in the air - perfect conditions for a trip to a Lilliputian city with cobbled streets and dreamy spires. To fly direct to Luxembourg from the UK is expensive so I hatched a plan to fly to southern Belgium cheaply (the exact route we had taken back in 2012 on our first trip to Belgium - Brussels and Bruges) and then travel overland using an inexpensive bus service into Luxembourg. In doing so we managed to keep the trip far cheaper than it would otherwise have been - and that's even after having to pay for a hotel stopover in Belgium's Charleroi region and for the transport to and from Luxembourg itself. The full round trip from Charleroi to Luxembourg City and back to Charleroi cost £25. Train travel is more expensive and the times did not fit our late arrival at the airport. We reached Luxembourg using the coach service Flibco whose tickets you can book easily online. As skinflint travellers we opted for the early service departing at 06:30 (which of course was 05:30 to us) because it was only €5 - a real bargain and, apart from the driver and one other passenger, we had the whole coach to ourselves. Whilst travelling by coach is not exactly romantic or exciting, it did the job just the same. Oh, and don't think they'll be stunning landscapes en-route... it's completely flat. It was too dark to see anything out of the coach window so the only other option was to sleep. Which I did. The journey was dark and seamless with no stopping at the border. The only marker to symbolise a change in nation states was the appearance of two flags on poles alongside each other: one Belgium the other Luxembourg. So, Belgium, I'm afraid to admit it to you - we well and truly used you! For the first time on agmtraveller.com I have been to a country on a trip and have hardly any photographs to show for it. We did spend the night in Belgium as well as travel through it twice so I've constructed this as a dual country page on my site rather than simply a Luxembourg one. To omit Belgium completely from this Chronicle would not accurately represent the journey we undertook. A page for 'Belgium & Luxembourg' it is then - I hope you don't mind! Luxembourg is a small country whose existence is made additionally ambiguous to the average mind because there is a region of Belgium also called Luxembourg - and it borders Luxembourg! Luxembourg has one of the highest GDP per capita in the world, is the last remaining Grand Duchy in the world and is famous, perhaps sadly, for being a generous tax haven for millionaires. It has three official languages (Luxembourgish, German and French) and its capital is imaginatively named Luxembourg City. We pulled into Luxembourg City just before nine at the Centre Gare - the city's main rail station just outside of the old town. This part of town, known as Garer Quartier, is frequented by bands of unemployed men who hang around on street corners back-slapping each other and drinking cans of beer - oh, and tourists like us eager to shave a few quid off of the cost of a hotel stay. Apart from our cheap inter-country coach tickets the rest of Luxembourg's prices were exorbitant. Expect to pay at least an extra third on top of UK prices for most things. Staying in the Garer Quartier is your only stomachable option unless you want to pay over £100 for a night in a hotel in a more salubrious part of the city. I wasn't willing to do this, so we slept with the drunks, the prozzies and the undesirables of Lux City (figuratively speaking). The tourist mindset is normally programmed to think in terms of the diametric opposites of good and bad parts of town. However, in Lux City, in one of the far nicer parts of the city, we happened to pass three men in a park openly smoking crack (lighter, tin foil, tube). It was really shocking to see this during daytime a mere stone throw from Lux City's bristling French cafe culture and under the watchful eyes of the capital's dreamy spires. Like two sides of a coin, Lux City's historical sights are interlocked with drug dealers, beggars and petty criminals. It is a clash I found difficult to reconcile; both sides not being from the same but, seemingly, different coins entirely. So different then from what you may have been expecting from Luxembourg - the second richest country, GDP per capita, in the world beaten only by the oil-rich Qatar in the Middle East. Luxembourg's more endearing side of the coin was the one I had come to see in this, my 52nd country. We'd arrived under inauspicious clouds and angry skies which threatened to dampen our experience but whose rain, thankfully, largely failed to materialise (except for a downpour on the second morning - cue foray to McDonald's, socks under faulty hand dryer, feet wrapped in serviettes - long story!) Lux City in the autumn is a lovely sight as its spires, clock towers and cobbled streets are complemented by orange and reddish leaves on the trees. Built on a number of plateaus with steep valley sides the city takes on a majestic quality which makes the place just about worthy of a visit (whether travelling overland from Belgium or flying direct, although this second option is far more expensive). The view of the Corniche seen from the Rhamplateau, the wonderful view of the Grund from the banks of the Alzette River, and the bustling bloomage of the Wilhelmsplatz flower market make Luxembourg City a rewarding little place to visit for a weekend in the autumn months. Be warned, however, that 70% of the city shuts down on Sundays. Don't expect shops to be open for trading on Dimanche - even the bigger stores are closed. Luckily there are a handful of restaurants and cafes to keep you going if you happen to find yourself here on the seventh day of the week. It's a little inconvenient for anyone whose country has sold Sunday to the capitalists but a humbling reminder, perhaps, that we should all take a break sometimes. This helps to underscore Lux City's bygone personality - the ringing of church bells across the city an audible call to all that Sunday 'est reserve pour les Christians et pas pour les Capitalistes'. We headed to the boulangerie 'Paul' just off of the main Place de Armes square - a cafe with superb pattisseries and service and one which we had already eaten in twice before - and which was rapidly becoming our second home. As remarked earlier, Lux City is not all cute cakes and soaring spires. It has a distinct urban grit to it too. Expect to see graffiti and evidence of other urban movements on the city's streets. Most notably for us was a bike shelter which had been 'Yarn Bombed' - that is, knitted a woolly jumper complete with net curtains and tassels. Even the bikes were given the knitty treatment. Wonderful and harmless creativity so unlike the destructive nature of spray graffiti to be seen elsewhere in the capital. Other weird sights in the Luxembourg capital included the terrapin-inhabited menswear shop window (ties, tux and... terrapins on rocks) and a clown characterised rendering of a street-side drinking fountain (where pressing the red nose = H2O). The funniest sight I saw was that of twenty-odd Chinese tourists piling into the Golden Emperor Chinese restaurant in which we were eating our dinner - nothing like sticking to what you know: it just goes to show that Brits aren't the only ones wanting to eat native whilst abroad. And this leads me to my other point of note: Luxembourg is awash with hordes of Chinese tourists passing through on their European tour packages. Also expect to see helicopters in the skies above the city. These air ambulances are a necessity in a capital city located on such steep gorges and canyons. It is tricky to distil Luxembourg down into a few things which are quintessential or characteristic of the place as it is an intangible and ambiguous mix of Germanic, French and, for me, Swiss bits and pieces. You could be eating that patisserie in a Paris cafe, the quiet cobbled streets you walk down could be in Zurich, and those waffles you're eating could be in Bruges or Berlin. It really is a mongrel-like hybrid - unsurprising considering its geographical land-locked location. The prevailing cultural and linguistic wind, however, is unmistakably French - an opportunity, then, for me resurrect my French from the grave (and I was able to cope very well, thank you very much). It's amazing how much French I can actually remember! It's always a bonus being able to communicate in the local tongue - a luxury from which I am normally barred when in foreign lands and so this was a nice change. Luxembourg City straddles a deeply-cut river gorge giving it a spectacular setting as a capital city as well as spectacular defensive properties! Left of centre is the Neumunster Abbey. Luxembourg City's dreamy spires and pastel-coloured buildings. The Grund view along the River Alzette out towards the stone bridge and the distinctive Corniche hillside. Luxembourg City abstracts: unusually lush leafage for this time of year foreground traditional stone building with bulging window boxes. For transiting between Belgium and Luxembourg the flibco buses are an economical option. The earlier departures you book, the less the cost. They also run a little longer than the railway. You can book and print tickets online. Be sure to take in a cake (or two) at Boulangerie Paul in the Place D'Armes square. They also do great coffee! Be mindful that Lux City tends to slow right down on a Sunday. Many shops are closed. You may wish to adjust your itinerary accordingly.